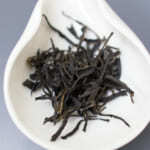 We have released Black Tie Guan Yin. It is produced in Anxi, Fujian province, China. 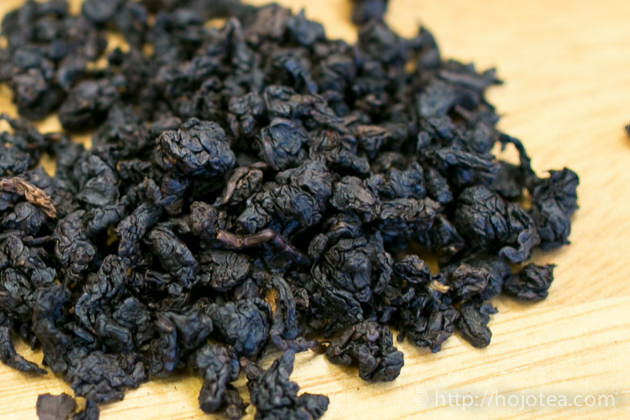 The Black Tie Guan Yin was made from traditional Tie Guan Yin. The uniqueness is tea was deeply-baked until its color turns black. However, the baking method was not that simple. 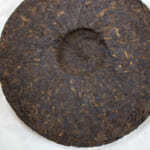 Tea has undergone a few stages of baking at various temperatures. 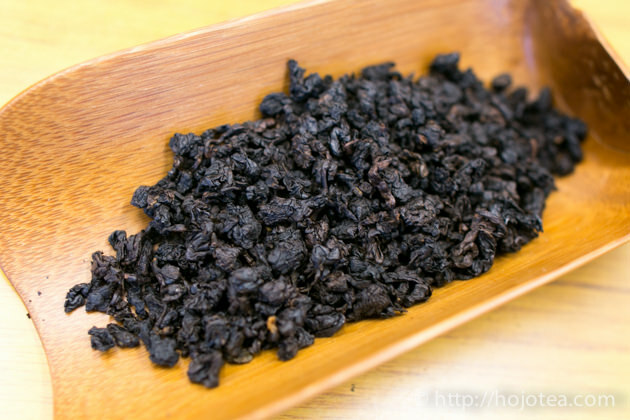 Thanks to the special baking method, tea has developed very unique flavor that gives a hint of dry fruit and caramel note. 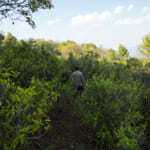 Tea garden is located above 1000m. The high mountain weather makes tea very strong in aftertaste. 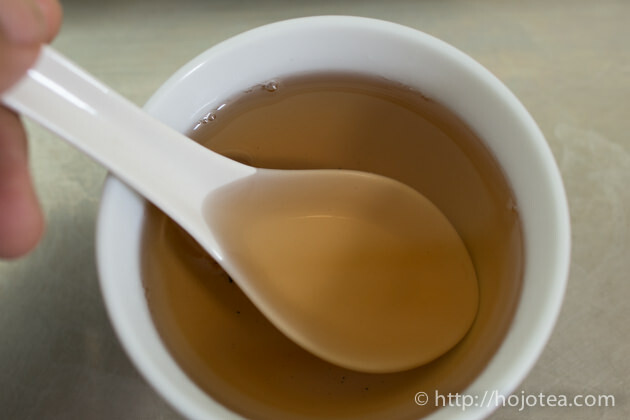 Generally, teas produced in Fujian province tend to contains higher pesticide. 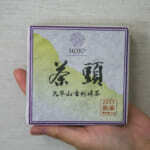 From the past till today, the Fujian teas are always very popular in China domestic market. Most of the tea producers focus on domestic market which pesticide requirement is low. They do not have to strictly control it. Subsequently, it was very tough to find the tea that could meet our standard. We selected material from the garden managed following the Europe pesticide standard. 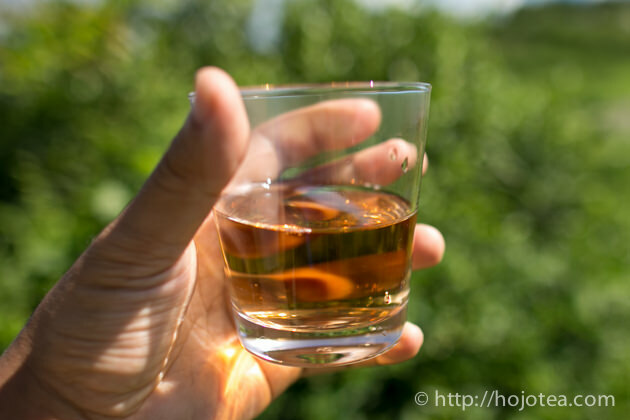 In addition, we send the tea to SGS Lab and tested more than 400 substances in order to ensure that tea is meeting Japan standard. 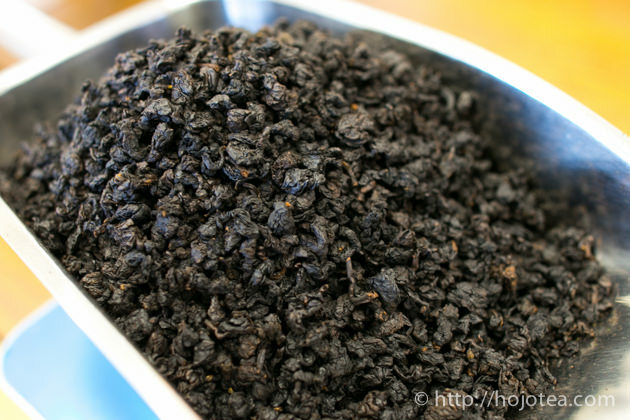 For brewing Black Tie Guan Yin, we can use the same method as we brew ordinary oolong tea. With 5g of tea leaf, we should be able to brew into 1000ml of tea. 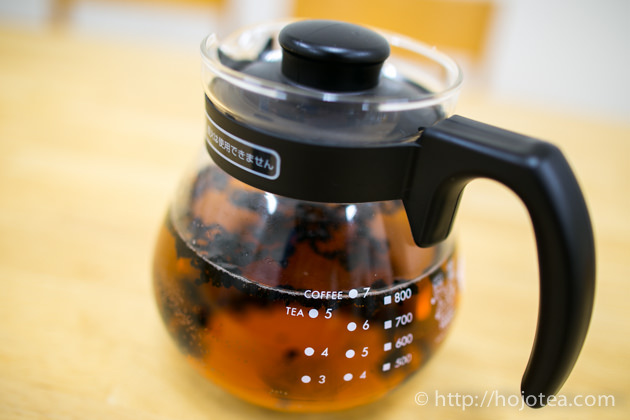 Please use boiling water for brewing. 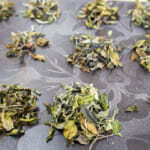 The Black Tie Guan Yin is also suitable for cold water brewing. 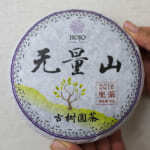 In fact, I was very much enjoying this tea in this summer because the weather was very hot. The cold water brewed Black Tie Guan Yin is mellower and the drinking sensation is softer. It is very easy to prepare the Black Tie Guan Yin in cold water. We need about 5g of tea leaf and place it in the bottle of cold water. We can just leave it in a fridge for more than 5 hours. 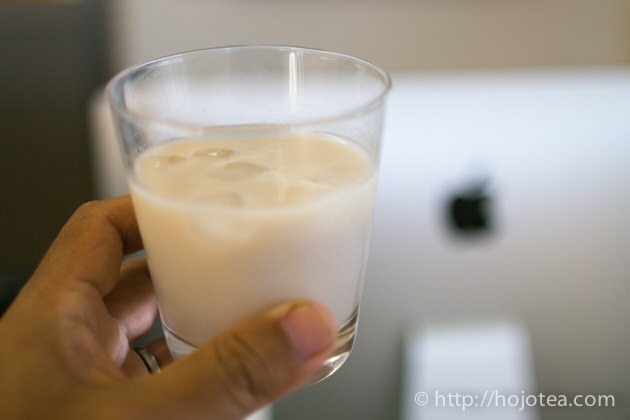 I usually prepare it at night and drink it next day. If we keep the tea in a fridge, we can continue drinking it for 3-4 days. Please take note that do not use aluminum, copper or colored glass bottle for brewing. These materials spoil the taste of tea and make tea tastes flat. If you prefer stronger flavor, please use water that is boiled once and cooled down. 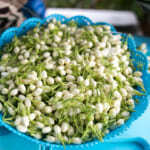 The fresh water contains Calcium bicarbonate and it is converted into Calcium Carbonate once it is boiled. This is the reason why the boiled water gives sweeter taste. Another way to enjoy black Tie Guan Yin is to drink it with tea. 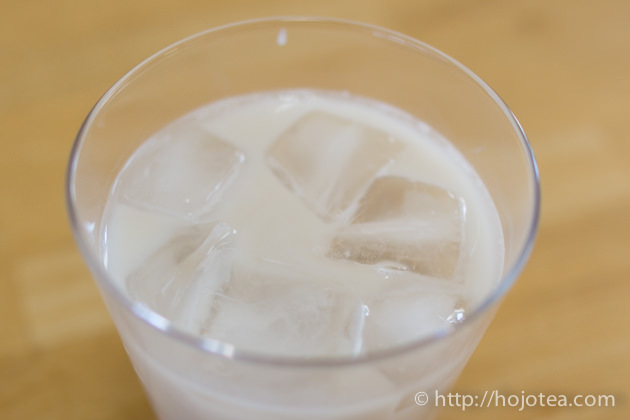 Normally, black tea is a good match with milk. 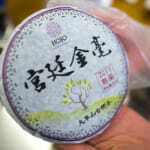 Nevertheless, I personally think that deeply-fired oolong has a very good affinity with milk too. 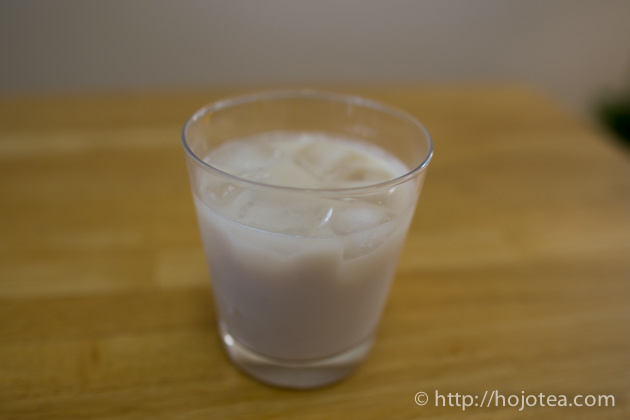 If you wish to add milk into Black Tie Guan Yin, please brew it with less water and mix it with fresh milk. 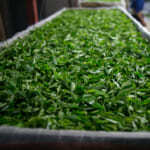 Since the flavor of Black Tie Guan Yin is very stable, it’s fine to brew tea in hot water for more than 10 minutes. It is nice to drink it after chilled too.